Meet Paloma Yumi Garcia, the trailblazer who is making a big statement in the fashion industry. Yumi runs NITA SURI, a fashion company based out of Spain. NITA SURI mixes bold and daring designs with superb quality in order to create a one-of-a-kind and timeless pieces of art. Yumi’s mother, Montse Freixes, is the designer at NITA SURI. Her designs were inspired by the architecture in Barcelona. Specifically by the architect, Antoni Gaudí. NITA SURI is not only inspired by the whimsy of architecture, but committed to manufacturing each bag as an architect would: with extreme precision, imagination, and always with functionality in mind. - Montse Freixes, NITA SURI Designer. So how did this all get started? How are these geometric masterpieces made? Reel had the chance to talk with Yumi and get the inside scoop on this booming brand. Q: How did you get your start in the industry? What made you start this company? A: I have the entrepreneurial spirit of my mother, Montse, who became a business women at the age of 26, starting her own brand of fashion accessories. Her main market was in Tokyo which is where she met my father, Antonio García. (I can honestly say I exist thanks to Nita Suri!) After 7 years of international success, Montse took a break from the industry. But in 2013-2016, she decided she wanted to design again, and this time she wanted to learn how to actually make the handbags. She spent almost 3 years, learning about the machines, structures, leathers. In 2017 we all decided to work together to relaunch NITA SURI. Japanese Magazine from 1995 - 2002. On the left you can see Montse with the LIA Iconic Handbags relaunched in 2017! - They are timeless designs! Q: What is the vision and inspiration behind the brand? A: Motivated by her years of travel around the globe, Montse has dedicated her life to observing the beauty of different cultures through art and translating them into wearable accessories. 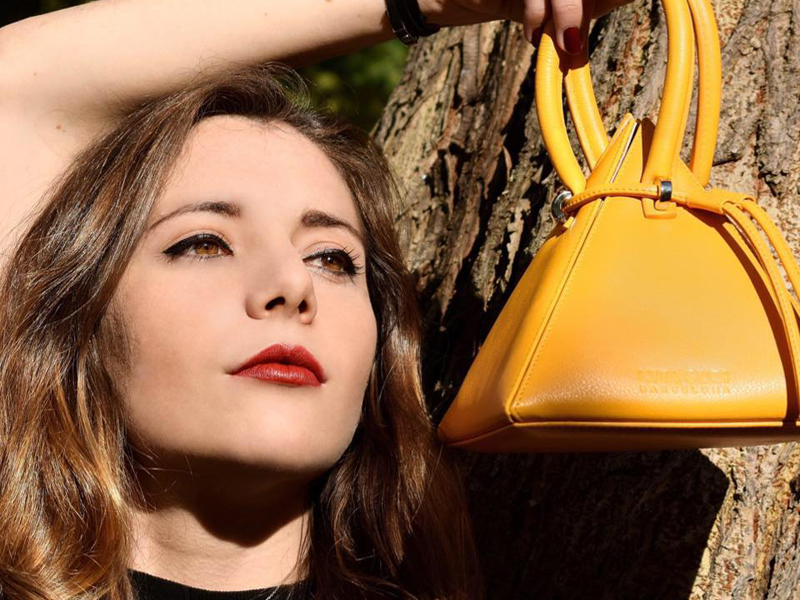 Montse envisioned a handbag that gave women all over the world the freedom to express their creative vision, unapologetic confidence, and true originality. The name Nita Suri actually pays homage to Montse’s grandmothers, Anita and Surina, who are remembered for their timeless grace and bold style. Q:What makes the craftsmanship of Nita Suri bags unique? A: Each Nita Suri bag is constructed with care, tracing its entire journey from sketch to production. Each piece is meticulously studied and analyzed by Montse to achieve peak functionality. The craftsmanship process that goes into every Nita Suri bag uses traditional techniques dating back hundreds of years, passed down from generation to generation. Each model is completely handmade, ensuring its quality, design and functionality. Due to their structural shape it is essential to follow a very specific methodology, in order for the bags to be completely symmetrical, as the slightest error could damage the final product. We currently use the highest quality sheep leather to ensure the smoothest finish. Q: Nita Suri has gained a lot of interest in the fashion world. Who are some of the iconic people wearing Nita Suri? A: Many celebrities wear our hand bags and most recently, Constance Wu, the American actress, was wearing NITA SURI. She is best known for her starring roles as Jessica Huang in the ABC comedy series Fresh Off the Boat (2015–present), and as Rachel Chu in the 2018 romantic comedy-drama film Crazy Rich Asians. Constance Wu - American actress. Q: Why do you think geometrical bags are going to be a big trend in 2019? What's coming for NITA SURI in 2019? 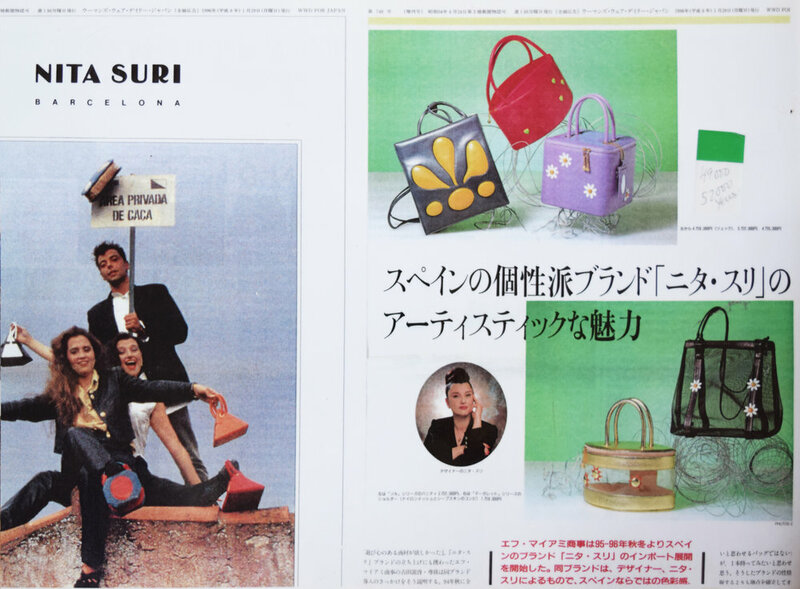 A: I love to say all NITA SURI designs are ‘timeless’ and it has been proven with the relaunch after almost 20 years and women still love and desire NITA SURI handbags. We don’t follow trends, we create unique products for the women seeking for exclusivity/perfection in a handbag that compliments their personality. In 2019 we are launching 3 new models in our Main Collection. Like our originals, they will have wide openings and light lining, they will be light as a feather, and be made with luxury materials. Q: Why are you excited to partner with Reel? A: We are very excited to partner with Reel because, we want to provide women with the opportunity and flexibility to purchase their most desired items. Start saving for a NITA SURI bag today! NITA SURI is such an awesome brand. It’s more than a handbag company, it’s a family business dedicated to empowering women to live boldly and authentically. Start saving for your very own custom NITA SURI bag NOW by joining Reel, and be sure to follow NITA SURI on Instagram. Happy saving!